- Filter hotel searches by amenities like free Wi-Fi, pet-friendly, air-conditioned and more. - View and manage all the places you follow from the Your Places page. Thanks for using Google Maps! 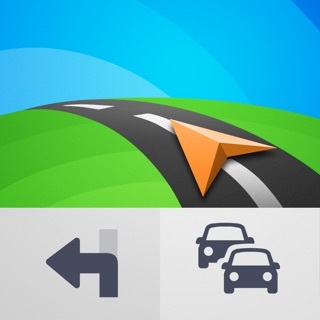 This app does an above-average job at assisting in navigation. I like that it apparently integrates user movement over time; for example, when I moved to my house, it ignored a pedestrian footpath to the other half of my street, but it now no longer routes me two miles away when I’m going to the bus. The reason I don’t give it five stars is its integration with Lyft/Uber, because my pocket would open the links and sometimes nearly summon a car (I had to delete them to avoid being charged), and because of transit system shortcomings. GMaps doesn’t offer enough different choices for routes, sometimes missing obvious bus lines or transfers, sometimes only giving one option it thinks best, though I might know more info and want to prompt more choices, which isn’t possible. I a forced to enter fake destination or origin information to force other routes to display. One bus may be very crowded at certain times, one route may have a steep hill. It needs to offer a way to expand route choices. Also, I still need to use OneBusAway to check on arrival times, as GMaps is not always current, especially with detours and alterations. As for driving, it’s fine, except the way it ignores neighborhood shortcuts and alternatives. Overall, a good tool to assist you, but you need your own knowledge to make it truly effective. Therefore, 3.5 stars, which I weighted up to 4. Google Maps took over ALL the space in the market to substitute MapQuest and all those bulky GARMIN GPS devices that you had to pay to update the maps and was very complicated to do so, even if you wanted to pay for them. Google Maps also ‘killed’ all those country specific maps that you had to buy every year you went out to Europe. Google Maps scored the biggest accomplishment to defeat Apple Maps in their own home device natural platform, no Apple iPhone lover will use the Apple Maps, they preferred to download the Google Maps App and move Apple Maps to some far far away screen where no one could see it. Then Wase came around with a different approach, the community sharing navegador, but still Google Maps was the KING of the map applications domain. And now, the very self Google Developers and Marketers are “destroying with their feet, what they made with their hands”... by converting the former wonderful best in the world and in its class navigation app into a silly shopping mall on the road, taking 1/3 of the screen to show the navigator all this distractions that defeat the purpose of using the app to get to our destination fast, faster. Yeah! They should change the icon for a new one with a ‘restaurant’ feeling. On top of that, I would like to know the statistics that supported the decision to add the ‘car pooling’ option, really? How about returning to us, the users, our beloved original easy to use “Google Maps”. I have been using google maps since 2011. I never write reviews but this app has surpassed my expectations. I have tried waze, ios maps and they dont do it for me. I am a truck driver by trade and aside from truck route maps on a desktop, i always use google maps. Will google maps ever be perfect? No but we are talking about perfect cellphone service and non hesitant location tracking to have a perfect gps. Depending where you are and who your carrier is, your cell reception might be shakily and you might miss a turn, not the app’s fault. Once google introduced the option for additional stops with in your route, they locked in my loyalty to the app. The reason why i wrote this review today is a new option that i have long awaited. Since i drive for miles, i am always on the app. I also am always listening to music. Of course i have had many times where i missed that very important turn because i was skipping or searching for a new song. Not anymore, maps now has a very simple tab on the map that lets me skip my song with my maps still on the screen. Thats a game changer for me. Once again, google has made me a pleased customer. Great work.